The Supersede Group still believes that email marketing is one of the most effective and thorough forms of advertising. Using personalized custom emails can increase click-through rates, ensuring that your subscribers receive an email they can view and want to read. Images speak louder than words, so we utilize the highest quality stock photos and custom graphics to make your emails appear more inviting. Using our custom web design techniques, we can help you collect data from your current and future visitors. Triggered emails receive a far high click-through rate than general “business as usual” emails. Lastly, we ensure that your emails are optimized for today’s responsive mobile technology by testing on every major platform, browser and device. Email Marketing is an excellent channel to build and maintain brand awareness within your space. An email address is an easy exchange but in many cases not valued to its potential. Email marketing is not a numbers game. If you treat it like one, you will fail in the long run. When creating your emails, you should also be consistent with the format and colors of the email. You know how you read your own emails. The 3-second likability rule turns into a 0.5s likability chance. If your subscriber can’t identify your email as he or she skims their inbox, they won’t open it. 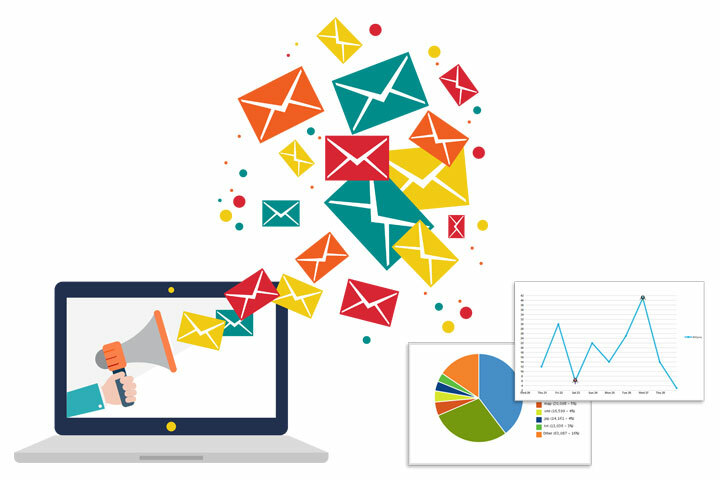 If you’re interested in boosting your email marketing initiatives, then please contact us below for more information about our difference services and products to skyrocket your business. Make sure you check out our SMS Marketing services as well!